Most motorsports aren't as simple as seeing who can go down a quarter mile the fastest, here we look at the 8 weirdest motorsports on the planet. Well, I thought I had seen it all. I watched most of this countdown with a skeptical scowl of disapproval, since most of these motorsports are fairly common and not something we would classify as “weird”. Then we got to #1 and the scowl faded, replaced by a grin of equal parts disbelief and amusement. 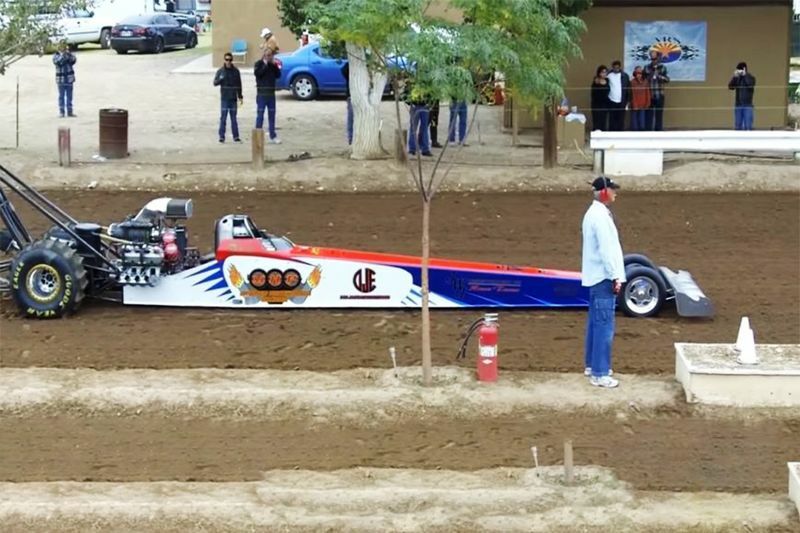 We're pretty sure that anything with a motor can be raced, its just a matter of time. Like, in this video, who in their right mind would be mowing their lawn one day and then suddenly think how cool would it be to race their sit-on lawnmower? But, it seems to be a growing sport. Even in an episode of Street Outlaws, we saw a nitrous install on a lawnmower! Back to the water, Swamp Buggy racing is a combination of boats and mud racing, using huge pizza-cutter style wheels in the front and tall, skinny paddle tires in the back, and when the buggies hit the deeper water of the course, areas are known as “sippy holes”, the long slender body becomes a boat and those pizza cutter front wheels become rudders, steering the buggy through the water while the buggy actually floats instead of drives. Then there’s even school bus racing, each of which we’ve seen quite often in some form or another, but the top spot on the list is something that we can’t even believe exists, but we actually want to try for ourselves! Pig N Ford races start out with a driver sprint to a series of pig pens, where the driver grabs his squealing copilot, a small piglet, and then jumps in his Model T for a lap around the track. After that lap, the driver then jumps out of the car, swaps pigs, and returns to his car to complete the race! Now if that doesn’t sound like fun, nothing does! Well, mind you, "old-school" drifting ain't that bad either. Video: 8 Most Unexpected And Strange Motorsports Ever!